After decades at the top of her sport, Serena Williams is looking forward to becoming a mother. But if anyone thought pregnancy would dim the tennis star's unstoppable drive, they were wrong. 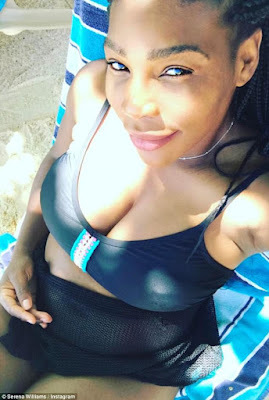 The 35-year-old shared a sweet note to her unborn baby on Monday morning - in which she wrote of her delight at reclaiming the world number one spot. 'My Dearest Baby,' she wrote alongside a picture of her cradling her bump in a sports bra. Serena's message came after the latest WTA ranking were released, showing she had bumped Angelique Kerber into second place. 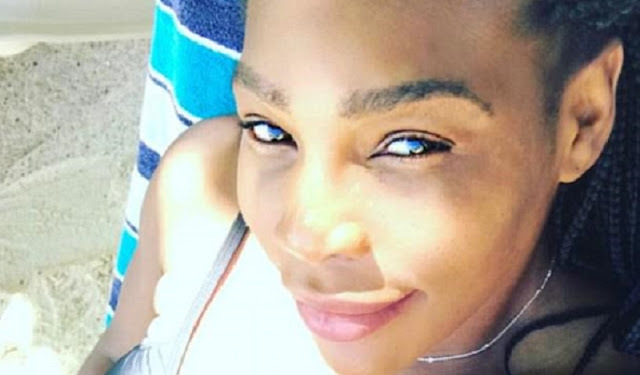 The latest rankings were released on the birthday of Serena's fiance, Alexis Ohanian.